All measures of weight and length are aligned, money is transferred to dollars. It moves away a bit from the original, because when translating, the whole preference was given to stylistics. This translation has never become the main one, but almost every believing family in the US has this version of the Bible at home. Many young people prefer this version of the Bible, because it is written in a modern, understandable language and, unlike The Living Bible, more accurate. Many Bible translations are made by one person or a small group. This translation was made by the Bible Publishing House, which promotes it. Serious work, serious attitude. 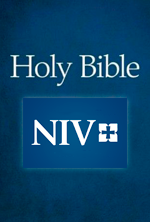 Originally, the translation was created as an update to The Living Bible, but in fact became a separate translation. In fact, this is the same The Living Bible, but written today, which makes the translation fresh and relevant. Highly artistic translation of the Bible. And here it was more important to convey the beauty and style than the accuracy of the word or even a parable that could be replaced by a familiar and more understandable American. The Psalter and Proverbs are translated in verse. A connoisseur of the language will be very interested in reading this version. Perfect English, unexpected turns. However, the correct translation. The essence of the Bible is not distorted. Of course, such a translation can not be the main one. 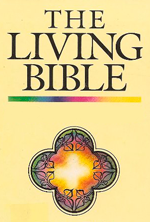 TLB - The Living Bible: For this is how God loved the world: He gave his one and only Son, so that everyone who believes in him will not perish but have eternal life. 17 God sent his Son into the world not to judge the world, but to save the world through him. NIV - New International Version: For God so loved the world that he gave his one and only Son, that whoever believes in him shall not perish but have eternal life. 17 For God did not send his Son into the world to condemn the world, but to save the world through him. 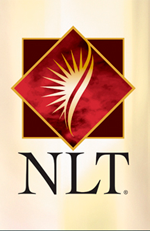 NLT - New Living Translation: For this is how God loved the world: He gave* his one and only Son, so that everyone who believes in him will not perish but have eternal life. 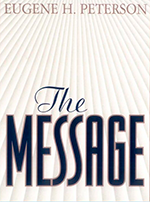 MSG - The Message: This is how much God loved the world: He gave his Son, his one and only Son. And this is why: so that no one need be destroyed; by believing in him, anyone can have a whole and lasting life. 17 God didn't go to all the trouble of sending his Son merely to point an accusing finger, telling the world how bad it was. He came to help, to put the world right again.